There was no school because of Veterans Day, so we went to the park with some friends after lunch. Carlee brought her camera and took lots of photos. 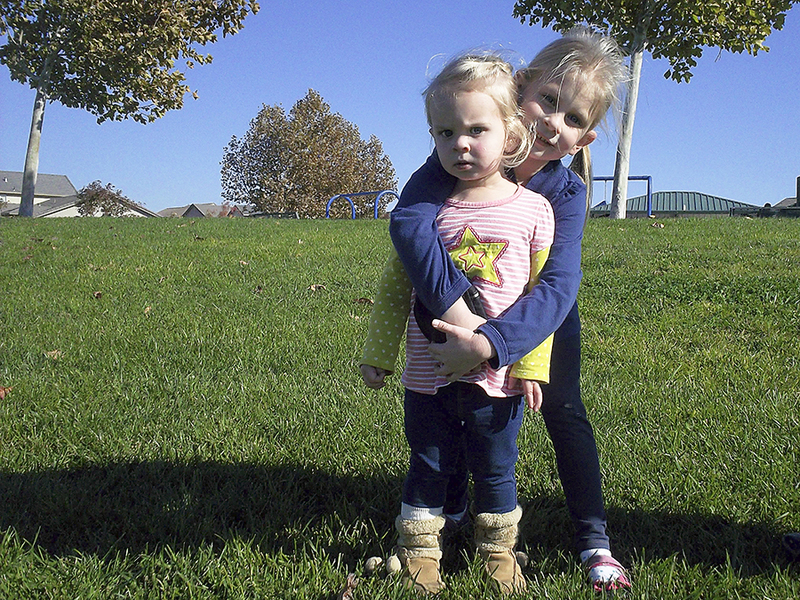 This is one that their friend took, Carlee is a sweet older sister to both of her siblings. Looks like Audrey is not just sure what is happening. Sweet sisters!